A wooden garage is a versatile, affordable building with high aesthetic qualities and these are just three of the many reasons, why wooden garages have gained more and more popularity in Great Britain. As the the name suggests, parking your car in it is one of the main purposes but most garages also offer the necessary space to store car accessories as winter tyres, motor oil or tools as well as garden tools, garden furniture, toys, bikes and much more. If you plan to set up a work shop of any kind, the large garage door is in many cases also preferable to a small garden cottage – or summer house door. The large door allows for the transport of big items, machines and materials in and out of the workshop. In some cases it may be nice to have a quick vent by simply opening the large door to allow the air to flow. In the following article we want to show you some of the most important advantages of wooden garages also in comparison to garages built from other materials. Probably you would want your new wooden garage for more than only one of the purposes described above. 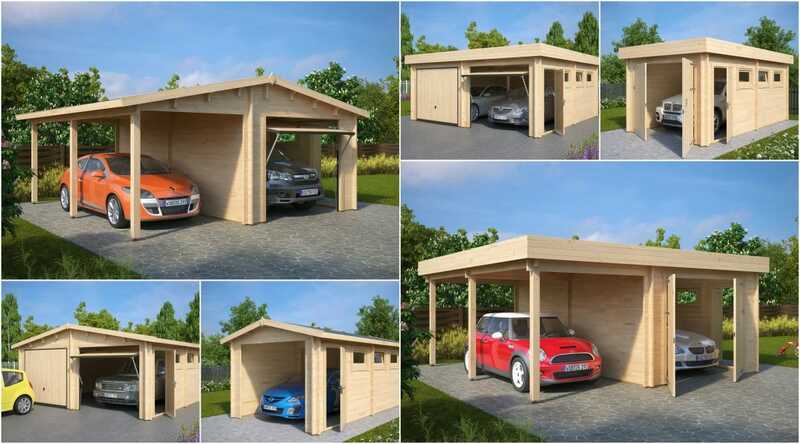 This is easily possible with many of the larger versions of prefabricated wooden garages. If you have just finished building your new house, you will require a place to park your vehicles and for storage space that can be erected without much additional cost and with as little effort as possible. Probably you will also want this building to look nice in your garden. Rather than having a builder construct your new wooden garage from scratch, you might prefer the easy way to just choose from a prospect or in the internet one of the hundreds of designs of prefabricated high quality wooden garages that fits best to your needs. We recommend to choose a larger version because soon things like garden tools, garden furniture, toys like table tennis tables, bicycles and all kind of stuff you would not want to store in the house will find a home next to your car, if you allow for an investment in the future by choosing your new wooden garage to be considerably larger than the one you would need right now. 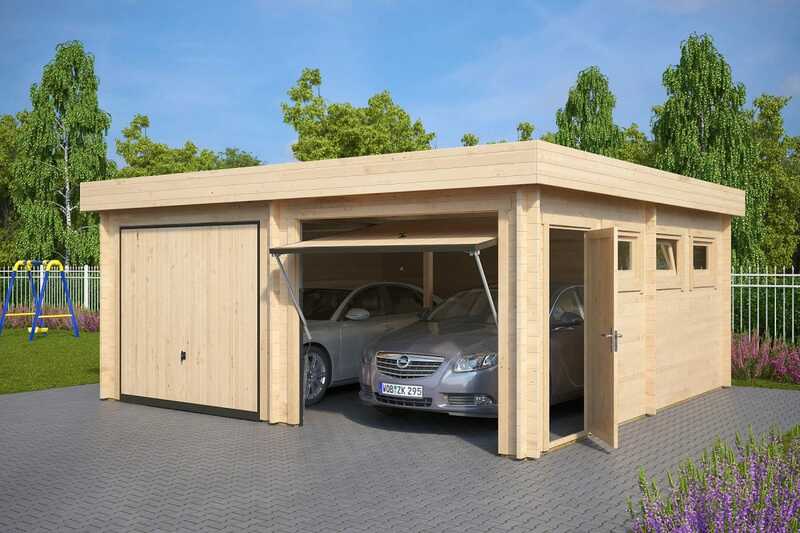 A wooden garage not only means safety for your precious car and your other valuable belongings by protecting them from easy access of uninvited guests but also shields them from the weather. This helps not only your sleep at night, but it might also reduce the regular fees for your theft insurance, plus it will increase the lifespan of your investments, be it a car, a motorcycle, garden tools or garden furniture. Keeping expensive things in an orderly way in a dry and safe place is always a good idea and their increase in durability will amortize the price for your wooden garage in a few years. The same is of course true for a workshop full of expensive tools where also production materials and the produce itself can be stored safely. We will see that the financial benefits of a wooden garage also will show in the following considerations, when we will compare a wooden garage to garages built from other materials. Wooden garages just look good because timber as a building material integrates naturally into any garden. Plant a few woody plants like bushes or trees around it and it will immediately be associated to a Canadian log house in the wood. Timber is a natural building material and it readily blends into any kinds of natural environments. Moreover they are offered in a broad variety of styles for you to choose the design from that fits best to your house. It is evident that a wooden garage looks better than a steel garage. But also a comparison to a prefabricated concrete garage tends to fall in favour for the wooden variety in the eyes of most. A more practical aspect of this comparison is, that steel as well as concrete garages or those build from building blocks can be difficult to build – It is clear, that building a garage from scratch with building blocks is more complicated and much more time consuming that just assembling prefabricated wooden planks. Steel garage kits most often require specialized tools for their construction. Prefabricated wood garages are offered in a broad variety of shapes and sizes, and if you still are not able to find your perfect match, you can custom order nearly any features or shapes you need from many providers . For example you could decide on a custom wood finish, roof pitch, and a choice of doors and windows to design a building that fits your needs best and harmonizes best with your house and garden. The pieces of your customized version are then delivered ready to assemble, with a detailed construction manual that enables anyone with just a little previous DIY experience to install the wooden garage within two or three days. Moreover, if you ever need to, it would be perfectly easy to deconstruct the wooden garage and build it up at any other place, which – needless to say – is of course impossible with concrete garages or steel garages, if any welding was involved in the construction process. As a normal DIY guy you will already have all the tools at home that are needed to assemble your new wooden garage. Timber is generally so easy to work with that also future extensions or alterations are equally easy to realize. Your wooden garage will usually be more dry inside than garages built from other materials. It will also be warmer in the winter and cooler in the summer because of timber being such an excellent natural insulator. Active ventilation aside, timber allows for breathing and prevents condensation which would be detrimental to your perishable goods and valuable possessions susceptible to damp in steel or concrete garages because these materials don’t have the same moisture-regulating properties as timber. Timber keeps the temerature better, coming for example from a hot engine and thus the air inside will always be dryer than the air outside. 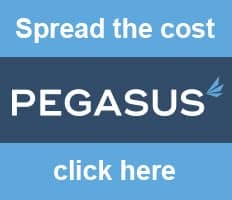 Why complicated and expensive when easy and good value is just before your eyes? A wooden garage will be an optimal solution to your needs. Summary: In this article the many advantages of a wooden garage are listed and compared to properties of garages made of other materials as steel or concrete.